Our primary responsibility is to provide solutions involving tax credits, government grants, trusts and estate planning to people with physical or mental impairments. We will show you how to qualify for the Disability Tax Credit (DTC) for an impairment that restricts the basic activities of daily living. The person must be either unable to perform these activities or require a significantly longer amount of time to perform them than an average person of the same age. The Disability Dreams Group Inc. (DDG) was conceived by our founder and CEO David Muir after many years of dealing with his own son’s challenges, in particular a severe learning disability. Like most parents, he was not comfortable with the "disabled" label, but was willing to set that aside when it meant significant tax relief for his family. This prompted an exhaustive investigative search to identify all of the opportunities available to him to provide and plan for his son’s future. David’s extensive background in tax recovery, income taxes and investment planning over a 30 year period has provided the perfect structural base for the Disability Dreams Group Inc. to be born. The number of people in this type of situation who are unaware of the benefits available to them is staggering. David also realized that most tax preparers never ask about family issues and most families never realize that the challenges and expenses they face can be partially reimbursed by the tax credit system. DDG is poised and impassioned to build this group into a network which connects this valuable information to those in dire need. Our "Holistic Approach" utilizes investigation, assessment, recovery and future planning, and we have created a successful track record of applications for both individuals and families alike. 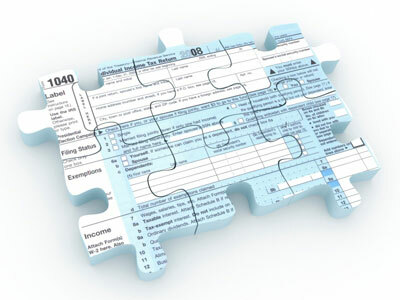 Let us help you secure funds, save taxes, and build a better financial future.